Come, and enter the Valley, where nigh-impassible mountains surround a primeval land of both magic and survival. From the gateway city of Icewall to the scattered human villages of the forests and hills, mankind struggles to survive against the valley's deadly winters and vicious predators. Worse still, the hated blackblood orcs also dwell in the valley. These terrible monsters raid village after village, only to fade into the mountains when opposed. But mankind has allies as well. The druids and rangers of the Compact have promised to protect the people of this land as best they can. But what is the Compact, and what dark secret does it hold? 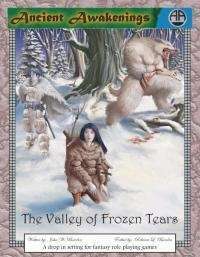 The Valley of Frozen Tears is not an adventure in itself, but a region that can be dropped into any "Standard' fantasy gaming world. Certain things are expected: a generally human-centric world and a standard spread of races, classes and environments. Added content has been included beyond the basic setting. 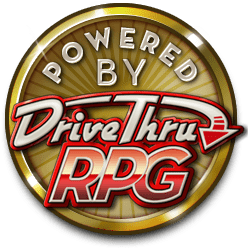 Nine new creatures and three new magic items have been added, complete with histories and adventure hooks for easy play value. This title was added to our catalog on April 20, 2004.